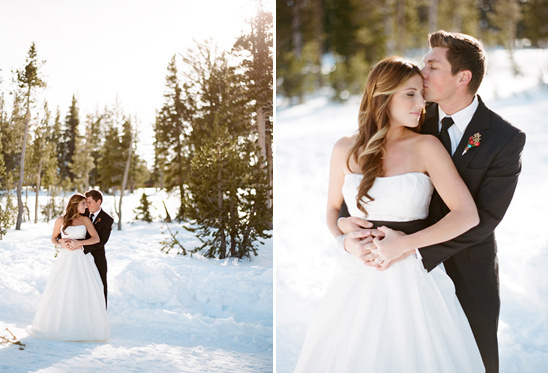 If snowy mountains and the smell of pine have you dreaming of a winter white wedding, you are in luck. 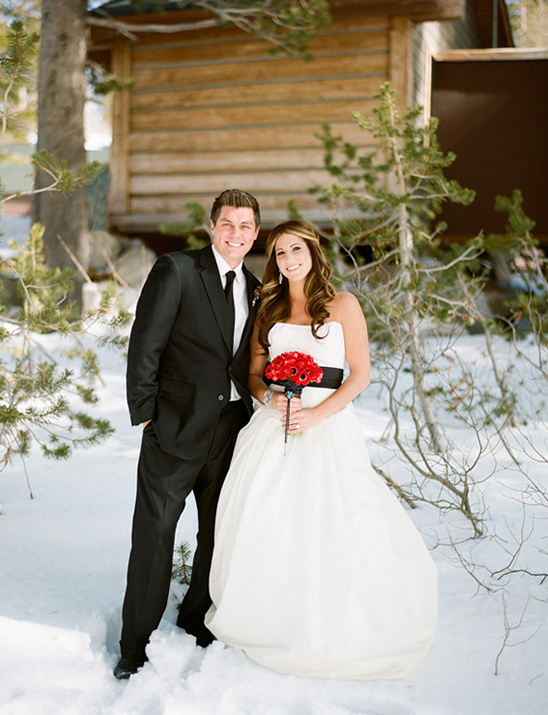 Brooke Keegan Weddings and Events and a crew of Orange County wedding vendors made the journey to Mammoth Mountain to bring some spectacular snowy winter wedding ideas. 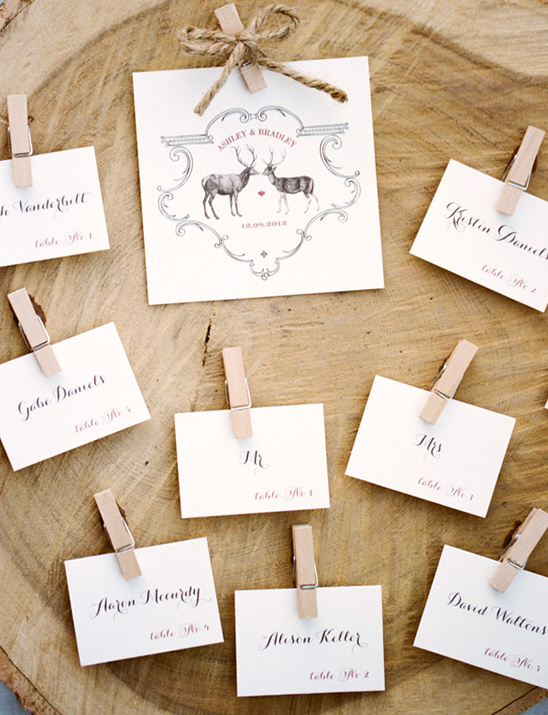 If you’re planning to have a lavish mountain wedding, then plan on pinning more than a few of these ideas. 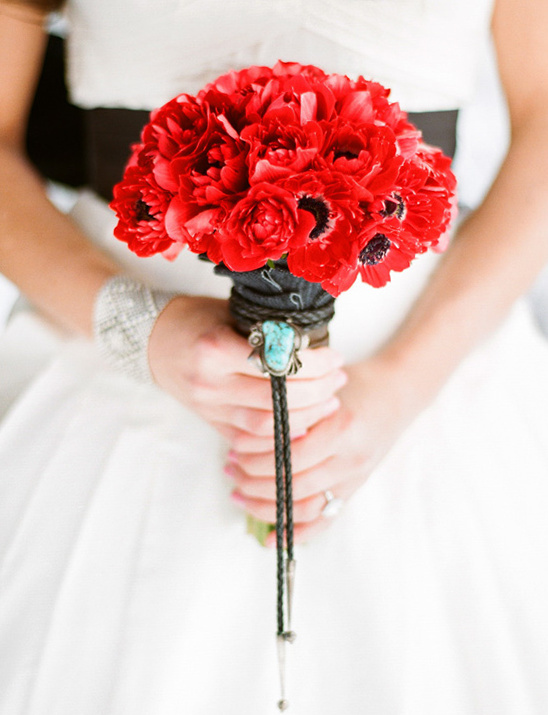 Especially all the statement florals from Elegant by Design, how gorgeous are they? 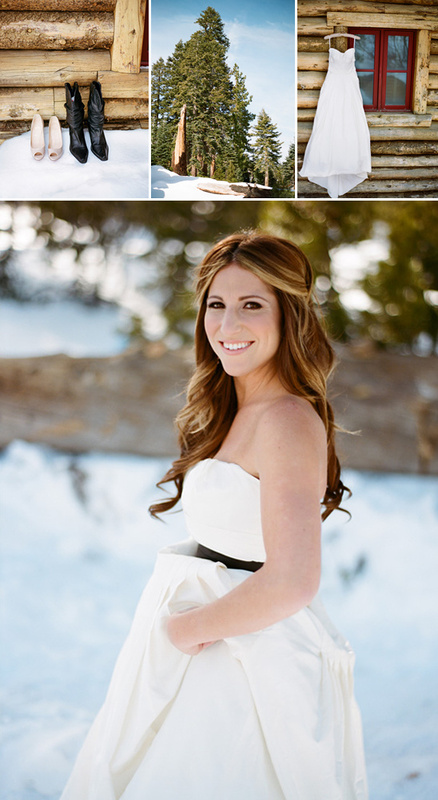 See so many more fabulous photos from Lane Dittoe Photography in the full gallery and read on to learn more about how you can have a snowy winter wedding of your own. 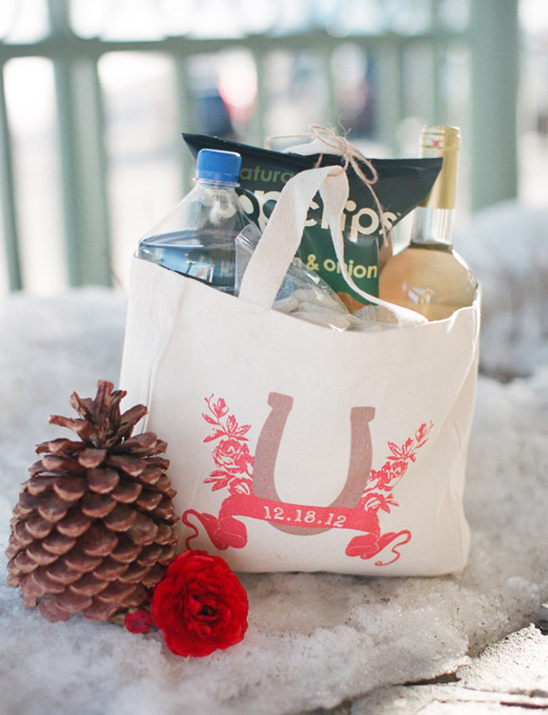 Greet guests with a Welcome Tote bag like our Horseshoe Wedding Tote. After their long journey they would love to have a bag of goodies to sit back and relax with. A bottle of wine some chips and cookies, you will have some happy guests on your hands. 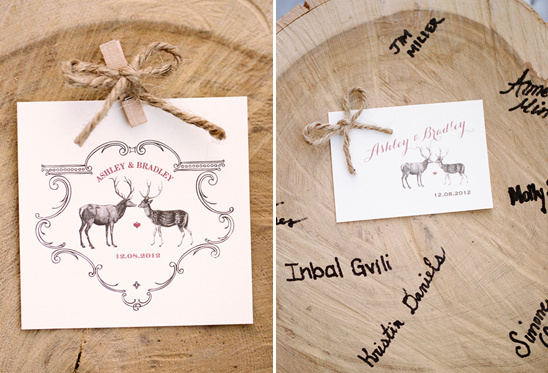 Pick up a Horseshoe Bridal Tank Top and Buck Tee for Groom while you are picking up your Welcome Wedding Totes. 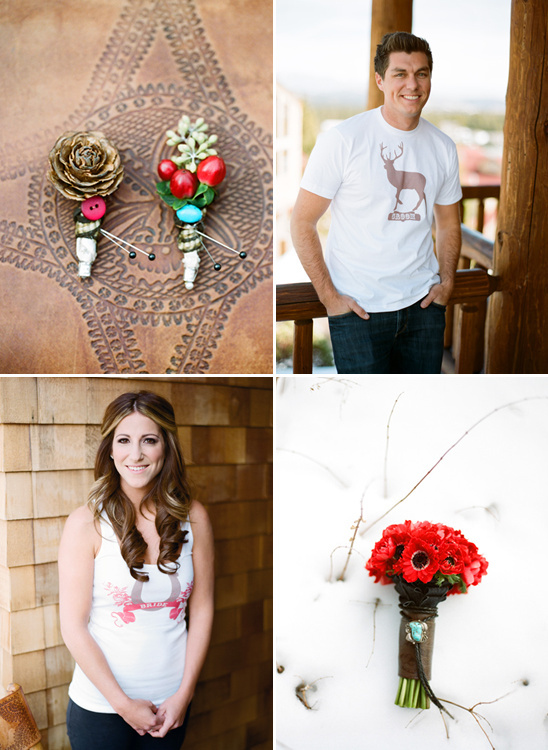 Our inspiration for this shoot was the RL Ranch meets the mountains in the winter. 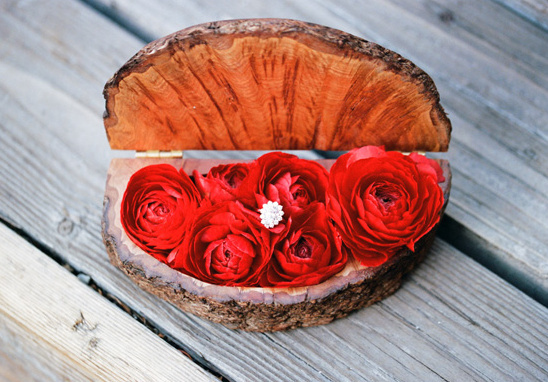 With lots of rich texture, colors and patterns, we brought both elements together in the beautiful Sierra's. 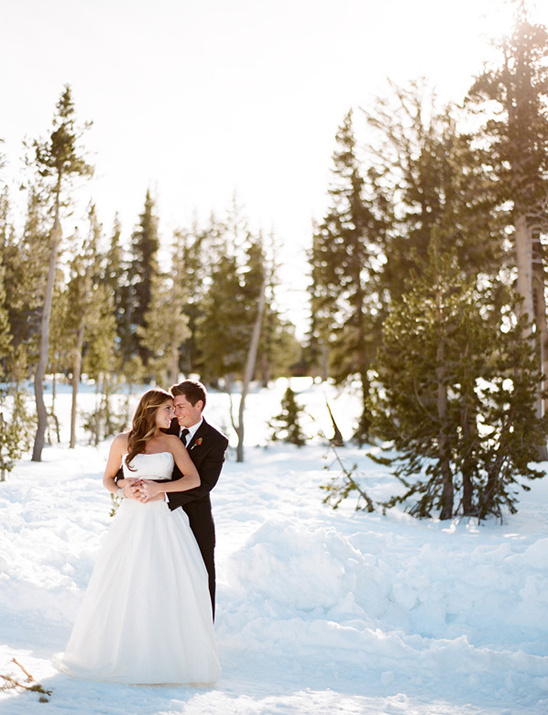 Mammoth Mountain was the perfect backdrop for the shoot. 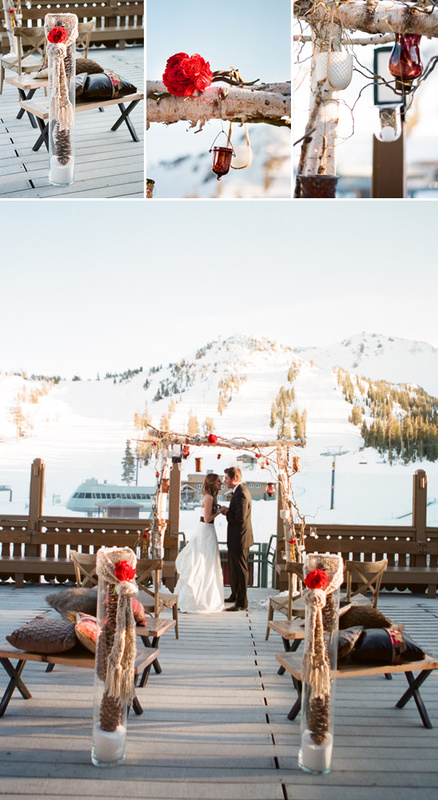 Shooting at 3 locations on the Mountain; a Private Estate in Juniper Ridge, Tamarack Lodge and Dry Creek Bar and Terrace at the Mammoth Mountain Inn. Each location was perfect for what we were looking for. 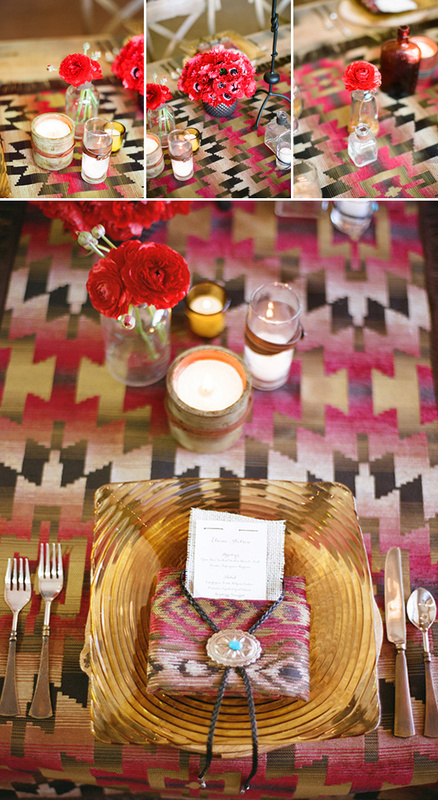 Fusion Linens custom made the wood table and benches for the tabletop shoot. Elegant by Design did a great job capturing the ranch feeling within the florals, decor, pillows, runner and vessels used. 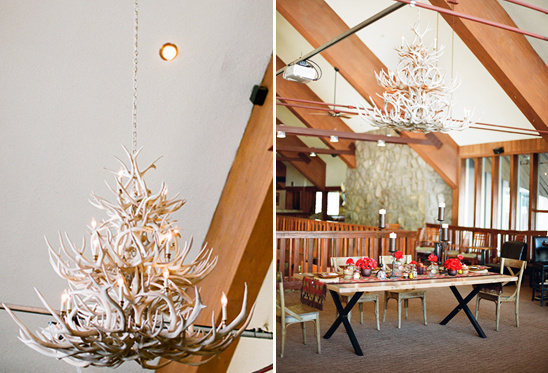 The copper silverware and amber chargers were a great addition to the tabletop design, thanks to Signature Party Rentals. 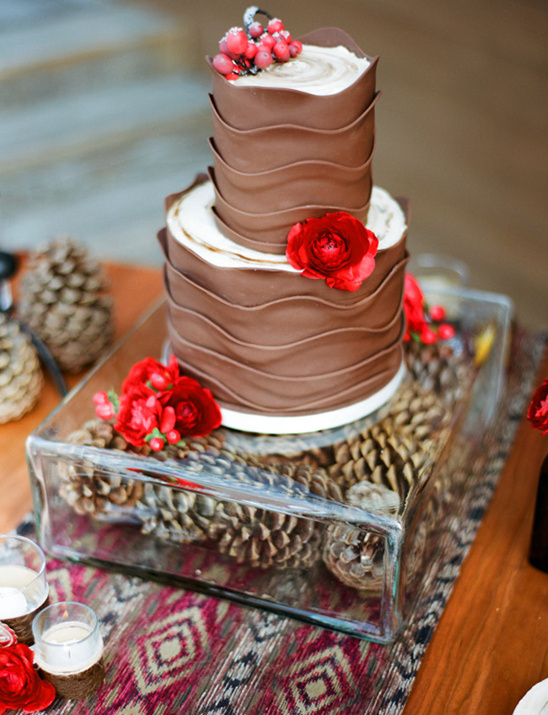 The cake was created by the fabulous Sweet Gems Cakes. 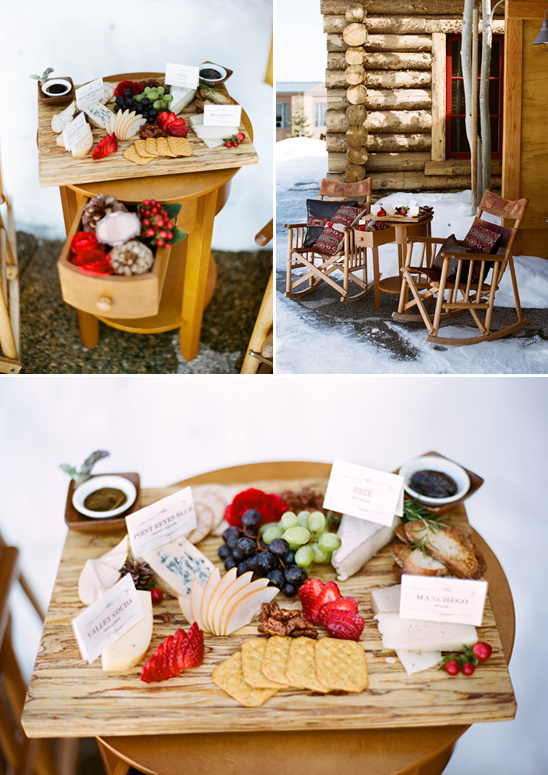 The mini desserts and drinks to accompany it were created by the talented Chef Will Flores. The models hair and makeup was gorgeous thanks to Beauty-Full by Molly. The paper suite was perfect! 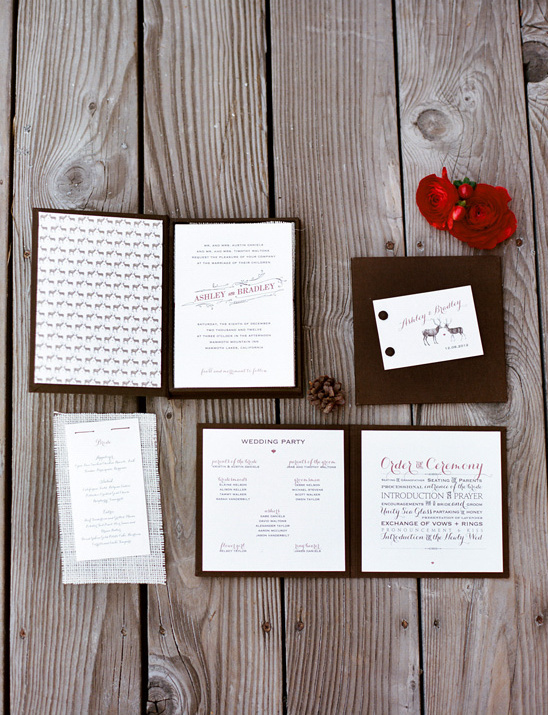 Wiley Valentine always creates the most amazing paper goods. 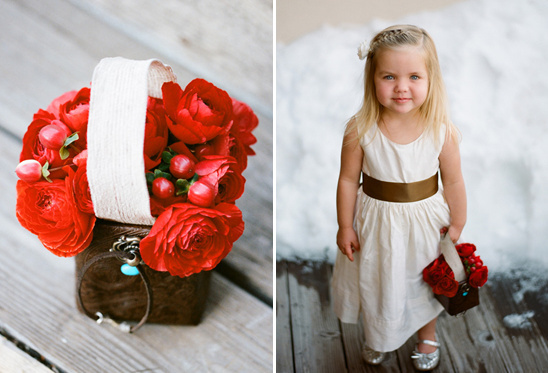 The stunning photos were taken by the talented Lane Dittoe Photogrpahy.